Recently, I completed a five week work assignment in South Africa. I was in the city of Pretoria. For North Americans, this is an interesting place to visit, not only because of the history and the wildlife, but also because they drive on the left side of the road. I was lucky enough to do some driving and riding during my time there. Temperatures were quite pleasant despite the fact that it is their winter right now. I would like to thank Riel Smit and especially Peter Short. 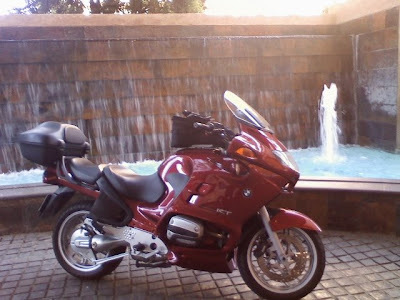 Peter's generosity in lending my his BMW R1150RT was very much appreciated. 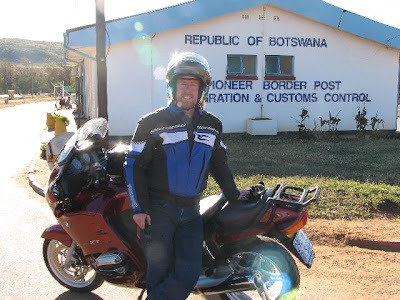 It helped stave off the motorcycle withdrawal I was beginning to experience, and it gave me the chance to experience South Africa in a way that was very enjoyable and familiar to me. Familiar, except for the fact that one must always remember what side of the road you must be on! I was there mainly to work, but found the time to enjoy riding. SA of course has a troubled past, and despite the fact that there is hope and optimism amongst residents for a brighter future, there is high unemployment and crime there. Most properties have fences topped with barbed wire surrounding them. Sometimes it looks as if one is in a prison. It would certainly be a shame not to experience everything possible, and I did my best. 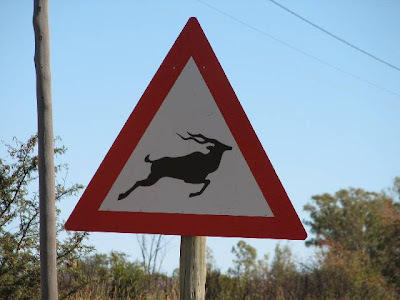 I even traveled to neighboring country Botswana. This to rehearse for perhaps a longer multi-country tour one day. One day. Here are a few pics and videos. Little dualsport that was running around called the Wildfire. I don't know the origins of this make. 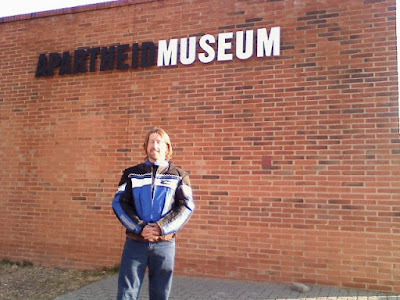 Visit to the Apartheid Museum. 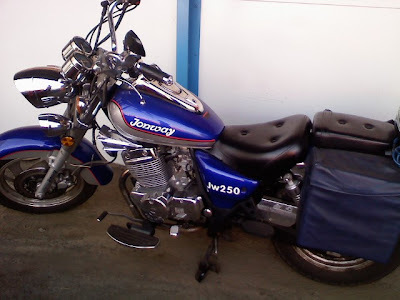 Jonway cruiser. 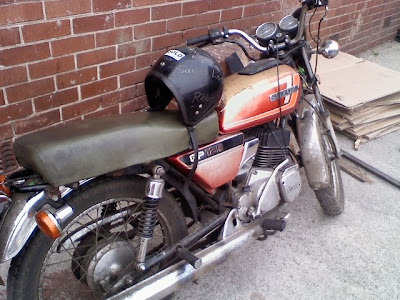 This is a Chinese made bike - 250cc. 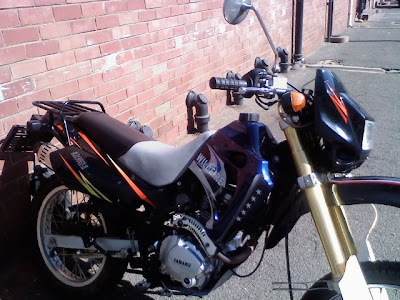 This is the first bike I saw in SA after arriving there.